On the fence about raising your service fees? On the fence about raising your service fees? If you’ve got 10 minutes and $5, Milady can help you put things in perspective. 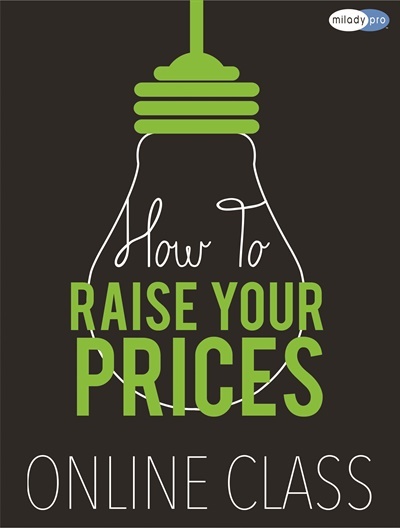 Their online class “How to Raise Your Prices” discusses how and why beauty professionals should raise their prices consistently. Using downloadable resources, videos, and knowledge checks, this quick online class shows you when to raise prices and how to communicate the change to clients. For more information, go to mldy.pro/raiseprices.